Discover an overarching strategy that will help you profit with more hands & ultimately win more tournaments. Learn tactics that work vs. super tough players, inexperienced weak players, and everyone in between. Nick has cashed for nearly $23,000,000 in his 10-year career, and he's having his best year ever with $5,700,000 in earnings and a second WSOP bracelet in the past 5 months alone. This course includes private access to the Winning Poker Tournaments Facebook group, where Nick will be answering your questions. Get an overview of how the best players in the world think about tournaments and use modern software to improve their understanding of the game. 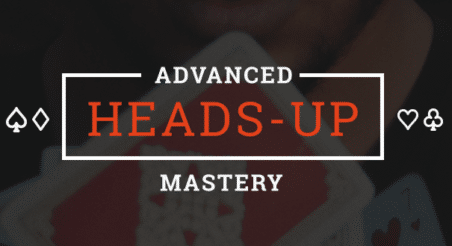 Learn how to approach preflop play like a super high roller with Nick's Preflop Mastersheet. This one of a kind resource contains 250+ charts that show you exactly which hands to open, call vs open, 3-bet, call vs 3-bet, 4-bet, and more. The Mastersheet is divided into 6 different stack depths so you can make optimal adjustments to your range whether you're deep stacked, short stacked, or anywhere in between. Nick also reveals his alternative short-stacked strategy -- which includes a tough and well-balanced limping range -- and when you should use it instead of a push-or-fold strategy. Beat up on the player pool by accessing cutting-edge strategy from poker solvers without having to buy or figure out solvers yourself. Make expert bet sizing adjustments when c-betting and barreling on Ace-high flops, monotone flops, dynamic flops, and more. Start identifying nuances on similar board textures and how you should adjust your play to it. Choose the correct combos to check-raise and call down after defending your big blind. Effectively split your range based on equity distribution. Use block bets the right way, at the right time. Identify the right cards for overbetting. You also get a 2-part series covering check-raising from the big blind and a live Play & Explain Nick recorded during WCOOP this year. Not only will these videos help you nail down the concepts you learn in the course, but they are also super entertaining!